Rhinoceros 3D is a popular piece of 3D modelling software that is used by everyone from graphic designers, to students, to large companies that make and sell ornaments and furniture. It’s also available to the general public and while the full package is quite expensive the trial version gives you access to all the features and allows you to save your files several times before you need to upgrade. Because this allows you to make professional prototypes for free this is a great piece of software to use with 3D printing so that you can make your own furniture and ornaments to decorate your home completely uniquely and exactly how you want it. 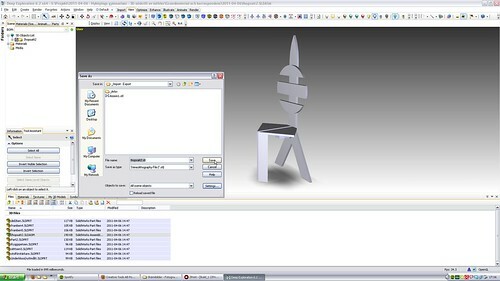 To get you started here we will look at how to make a 3D chair using the software and then how to get it printed in 3D. When you load up Rhino 3D you will be presented initially with four screens that offer you different perspectives of the action. You will also be offered the opportunity to select a template in which case you want to select either centimetres or meters. This will define the grid size and the size of each square on that grid. This is what you will use to measure your objects as you draw them but you can change the guidelines to specific values by going to View > Grid Options and defining the distance between the various grid lines. 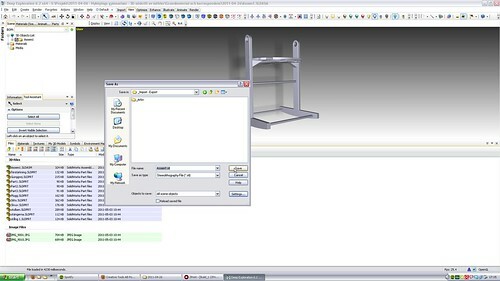 Now chairs are essentially made of cubes and so you want to choose the cube option under objects or in the left toolbars. Now you can draw a square as you would do in paint, and then drag it upwards or downwards afterward to bring it into three dimensions. Of course though you might want a slightly more interesting shape than that, in which case you can draw one with the line tool in two dimensions (using the top-down tool) and then select ‘extrude planar curve’ which allows you to pull it up and out in 3D. This creates a shape like a cookie cutter though, so you need to select it and click ‘cap planar holes’ in order to put ‘lids’ on it and make it into a solid object. You can now use this same technique to draw the seat, back and four legs of your seat. You may want to use the coin or tube options for the legs, that’s up to you. Now before you can get this masterpiece printed out in hard plastic or steel, you first need to make sure that the image you see before you is actually one single unit. If you just drag the objects next to each other then printing services will read them as separate files and won’t know which one you want to print. So make sure there is some overlap between each part of the shape and then select ‘boolean union’ to weld them together into a single shape. There are many sites that provide 3D printing, but the example I’m going to use here is ‘Shapeways’. 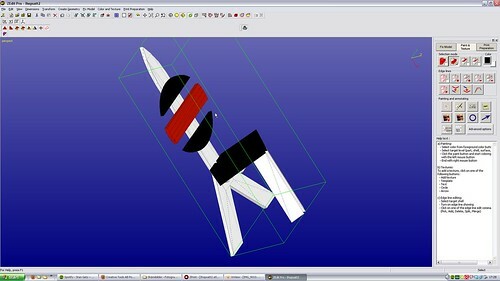 To use this all you need to do is to save your file as a ‘.STL’ file, and then upload it. After ten minutes you can select your material and order the object – note though that the size and the material will of course affect the price as well as the postage and packaging. About the author: Melissa Stew works as a customer relationship manager for S&L Air Compressors whose main objective is to provide top quality products accompanied with 24×7 sales support. ← Why should you use market trading software?